Probe Disinfectant Wipes are effective against 99.9% of gram-positive and gram-negative bacteria, as well as most viruses, fungi and other micro-organisms including spores. 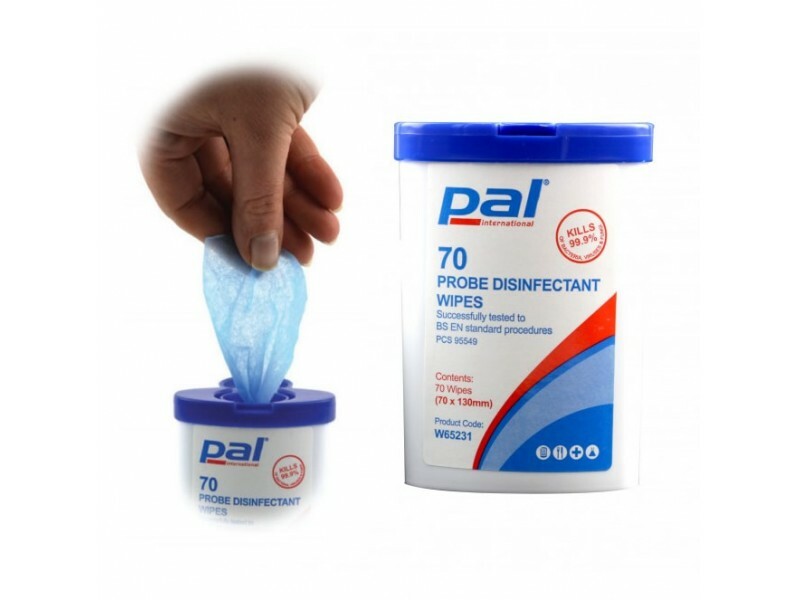 They are pre-dosed with a dual active formulation ideal for providing effective infection control and preventing cross contamination of probes and utensils. 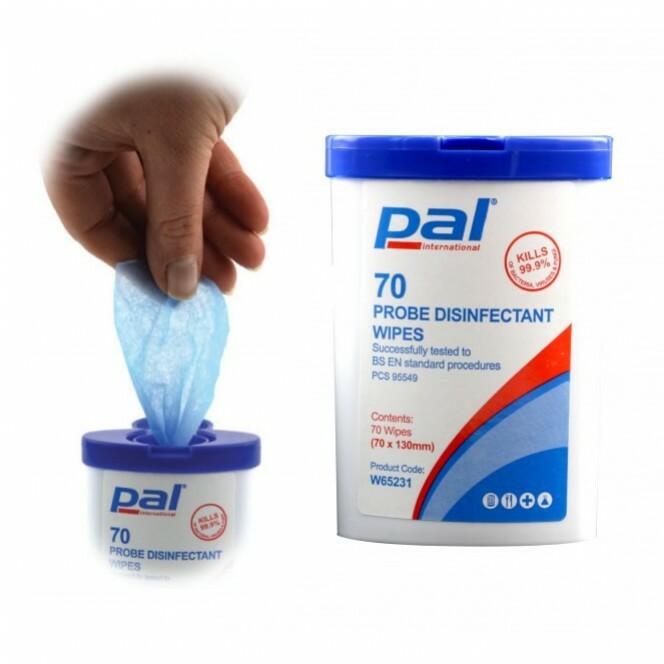 Designed for the disinfection of small surfaces, Pal Probe Disinfectant wipes are ideal for use in food environments on temperature probes and small utensils. They are also suitable for use in laboratories and clinical environments. Blue colour wipe is easily visible in food preparation environments. Replaces the need to continuously wash probes and utensils. Handy pocket pack fits in chef’s tunic or utensil drawer. Fast to use and easy to use. Saves valuable time and reduces the need for multiple probes and utensils. 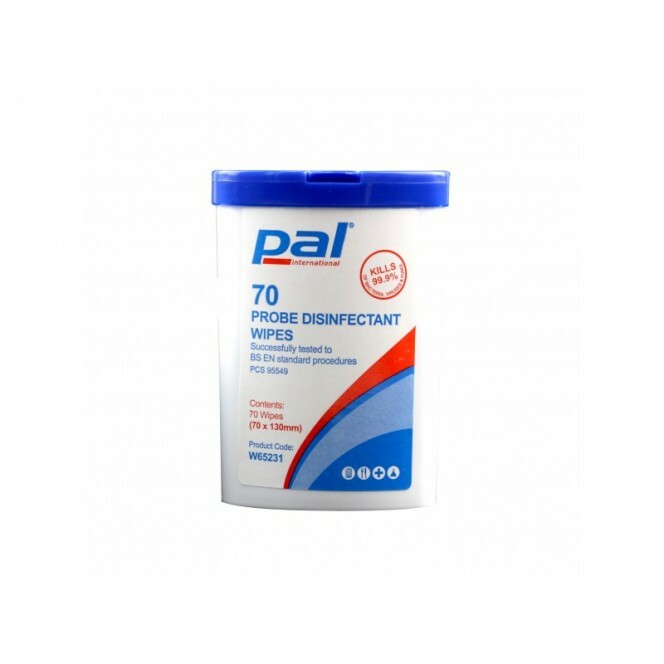 70 small wipes per canister means very low cost per unit.